Tennis is a beautiful sport, which has the power to entice people. However, for an unknown reason, most children are reticent when it comes down to this sport. 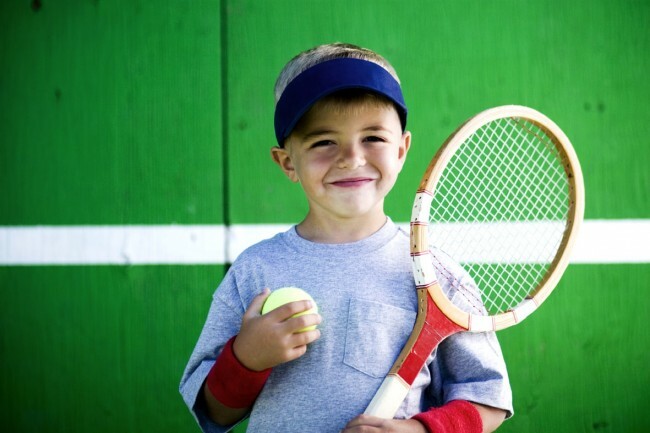 In case that you want to convince your kid that tennis is the right sport for him or her, you should stop thinking about what to do and take action.In order to help you with this, you must be aware of the fact that the best thing that you can do to get your kid fond of tennis, besides enrolling them in excellent summer tennis camps is to purchase a suitable racquet for him or her and start playing tennis. In order to convince your kid that tennis is a truly great sport, you must get the right equipment for him or her and start playing. The reason for this is that, similar to any other sports, playing tennis relates to a combination of choosing the right equipment and enjoying the real competition. As you might already know, you cannot play football without having the right boots, ball, teammates, and opponents. As well, you cannot skate without having appropriate ice skates and skating rink. Obviously, you cannot play tennis without having the right equipment, from which the most important component is the tennis racquet. As well, in order to convince your kid that tennis is a great sport, you must help him to find a good opponent, who can teach him the new meaning of the term “competitiveness.” In case that you cannot find a suitable tennis coach, you can become the best instructor and opponent for your kid. Also, tennis travel can truly inspire a child! Returning to the tennis racquet, you should know that getting an appropriate junior racquet is very important. If you intend to give your kid the right start, you must choose a tennis racquet, which is especially designed for junior players. However, selecting any tennis racquet for junior players is not a great idea. The reason for this is that there are many sub-standard types of equipment, which cannot deliver the expected results. Thus, if you really want to get your kid fond of tennis, you must get a truly good racquet, which can turn every tennis session into a truly enticing personal experience. There are a few important things that you must take into account before choosing the appropriate tennis racquet for your kid. The following lines highlight the most essential aspects that relate to choosing the right junior racquets online. Brand: Taking into account the brand of the tennis racquet is a very important thing especially because a good brand can help you to avoid various annoying issues, such as quality problems. Although most people consider that the top brands are very expensive only because they promote a very popular image, the truth is that only the top producers can guarantee a great quality. Thus, by simply purchasing a tennis racquet, which belongs to one of the best brands, you can be sure of the fact that it delivers the best product and experience. Specifications: You must check the length and width of the tennis racquet. It is a great idea to previously verify the standard measurements for junior racquets so that you know exactly what type of racquet you must choose for your kid. Additionally, there are some important points that you must consider with regard to hold, swing, and performance factors. By simply considering all these, you can choose the right racquet for your junior. Technology: The latest technologies also play a pivotal role in choosing the appropriate tennis racquet for your kid. There are various new technologies, which can literally help children to improve their eye and hand coordination skills and fitness levels. Additionally, the latest technologies have a great positive impact on sportsmanship and self-confidence aspects. Affordability: As we are talking about a tennis racquet for your kid, it is essential to choose an affordable model. After all, your kid will only use it for a few years. Thus, investing your money in the most expensive model is not such a good idea. After your kid becomes an adult, you can gift him or her with the most expensive tennis equipment, knowing that he or she will have the chance to use it for many years. Durability: Although you do not have to choose the most expensive racquet model, it is important to make sure that you select a durable one. Purchasing a low quality racquet is pretty much similar to buying an inappropriate model, which cannot help you kid to achieve some great results. In order to get the right tennis racquet for your kid, the best thing that you can do is to require him or her to try different models. As soon as your kid finds a good racquet, you can start looking for the most advantageous deal and purchase the right tennis racquet for your junior. Choose the best quality racquets from any online racquets store out there.